The Three Chimneys chosen charity for 2019 is Search and Rescue Dog Association Scotland known as SARDA. 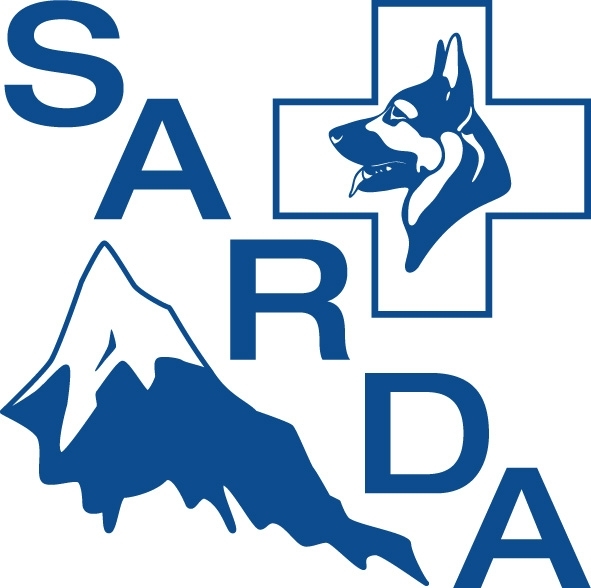 SARDA is a volunteer organisation which trains dogs and their handlers to search for missing persons. They are used by the Police Force and Mountain Rescue Teams: their handlers are experienced mountaineers and trained in first aid casualty care. This vital Rescue Service covers all of Scotland, 24 hours a day, 365 days of the year. We add a discretionary £1 donation to every Restaurant and Room bill as our core method of fund raising. 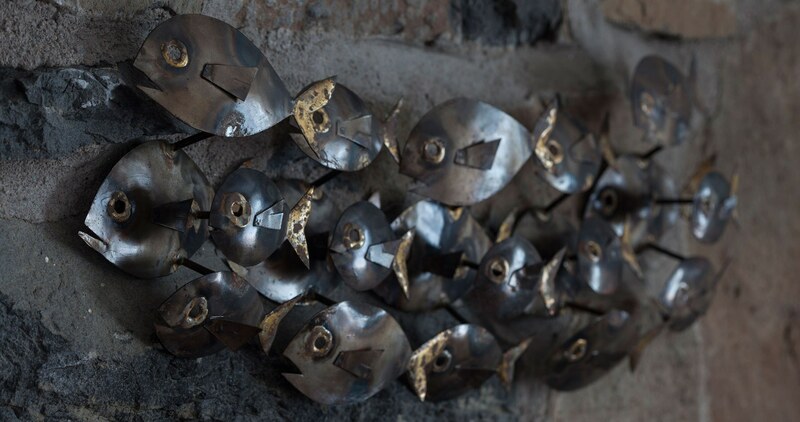 Members of #TeamThreeChimneysSkye also organise their own sponsored activities to add to the pool which we will build-up over the whole of 2019. 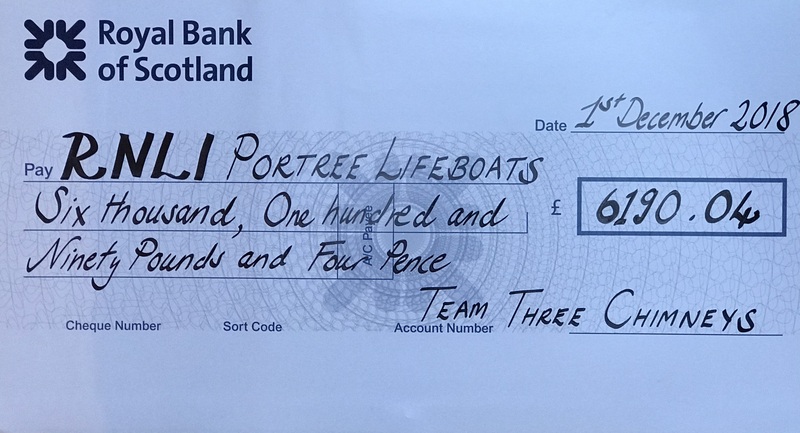 Team Three Chimneys Skye held a staff ballot early in 2018 and voted to make the local PORTREE Lifeboats our Charity of Choice through the RNLI. We choose a charity every year and encourage all of our team to raise money in some way. With permission, we also collect £1 from each of our guests who stay with us overnight in The House Over-By and £1 from every table dining in the Restaurant. Several staff members have participated in their own fund-raising events, such as the Dunvegan 10k, the Skye Marathon and the Lochalsh Dirty 30. 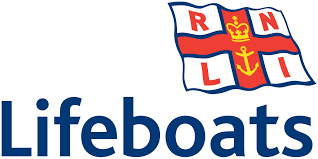 We are bringing this year's campaign to a crescendo with a special RNLI CHARITY LUNCH on Saturday 1st December 2018. 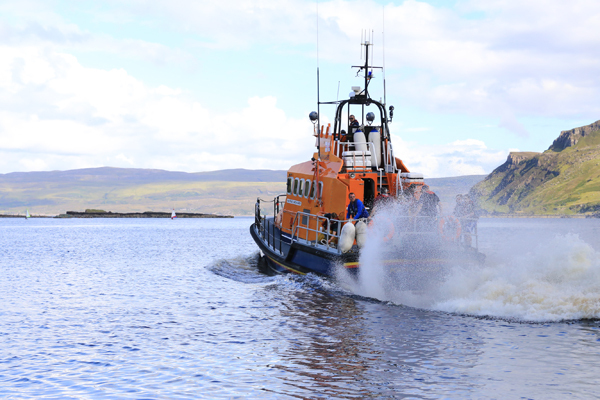 The local Portree lifeboat crew are volunteers from our community, keeping everyone safe at sea. The sea is so much a part of life on Skye, with many locals employed in the fishing and aquaculture industries. Many more enjoy leisure activities at sea, especially people visiting the island on holiday. Tuning in to the Shipping Forecast each morning is important to Head Chef, Scott Davies, as he plans his Menu and anticipates fresh supplies of fabulous lobster, langoustines and crab being delivered to Dunvegan Pier. His Brigade work week in and week out with local creel fishermen, scallop divers, mussel farmers and oyster growers...sharing a respect for each other's skills and knowing that the local Lifeboat may be called out at any time to help in times of danger.